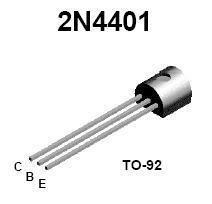 As is described in the 2N4401 PDF,the 2N4401 NPN transistor is designed for general purpose switching and amplifier applications. PNP complementary types are 2N4402 and 2N4403. Used for low frequency audio amplification circuit. 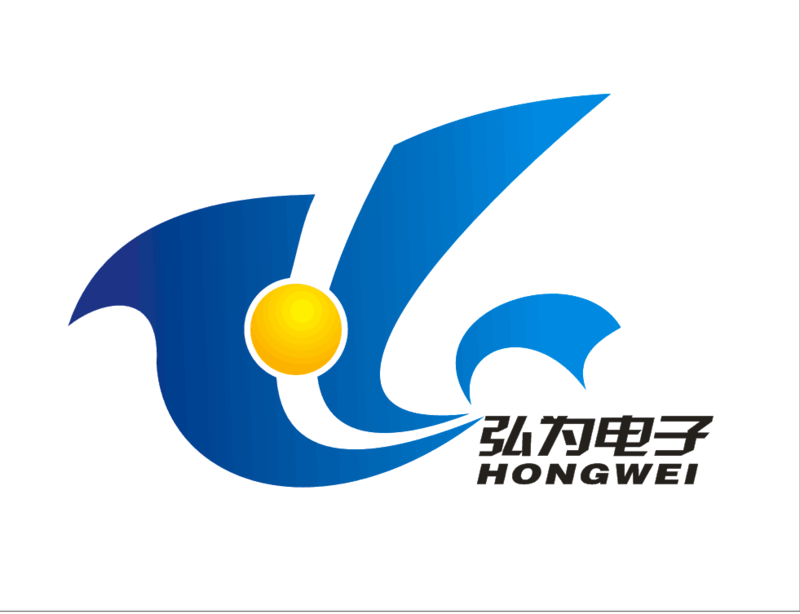 current characteristics are good and the output power is large, which can be complementary to 2N4403. 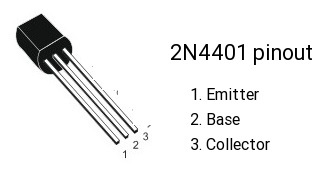 In the above "2N4401 pinout" image,1 is emitter,2 is base,3 is collector. Amplifier is an electronic devices that can increase the power of a signal. 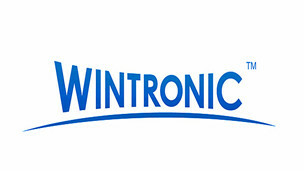 It uses electric power form a power supply to increase the amplitude of a signal. So amplifier play an important role in boosting up the signal to required level and widely employed in audio applications.Transistor amplifiers can be built with ease and also cost effective that other types.In order to built one all you need is Transistor, power supply, some Resistors and Capacitors. For complex amplifier circuits go for this 200W subwoofer Amplifier. Let’s move in to the working of amplifier circuit using transistor . 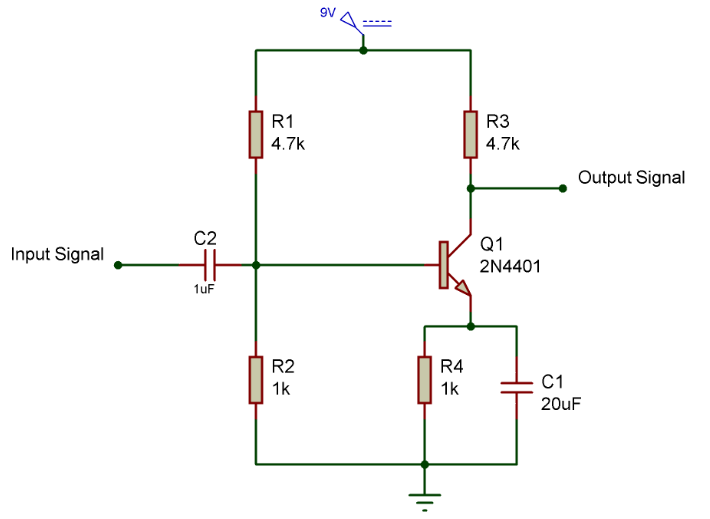 The above circuit uses a simple NPN Transistor Q1 2N4401 and powered by a 12v Supply. The resistor values R1,R2,R3,R4 and capacitor values C1,C2 plays major role in amplification of input signals. So fixing these values requires some simple math to meet our amplification requirements. First we need to fix the value of Collector resistor R3 based on the desired collector current and voltage. Capacitor C2 of 1uF was added to remove the DC offset in the input signal and keep our circuit stable. 4.7K is the standard value of resistor hence 4.7K is employed in the circuit. The Current flowing through the Collector terminal will be equal to the current flowing through the emitter terminal Ic = Ie. 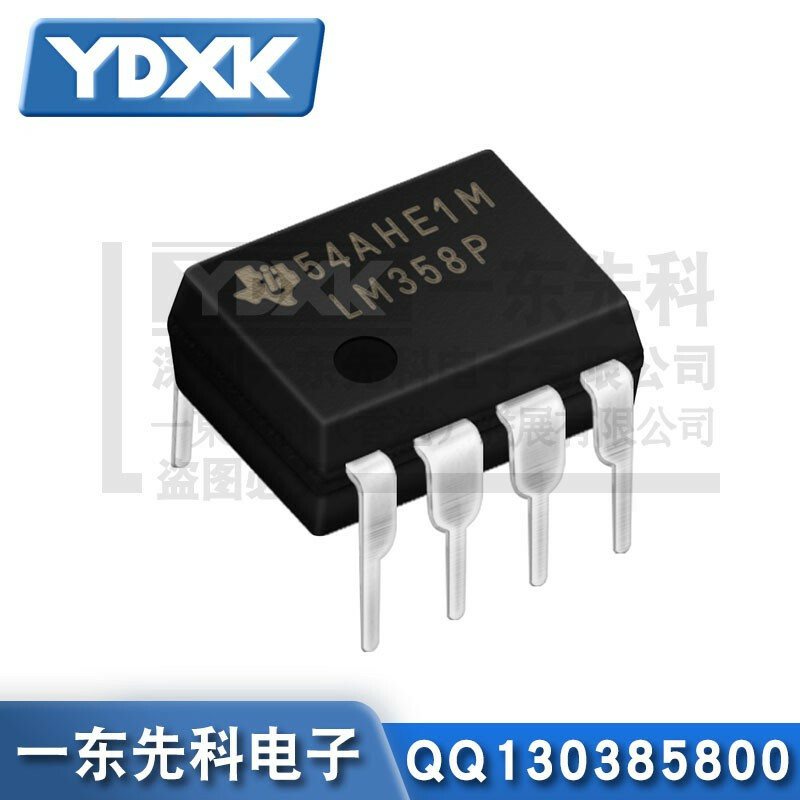 Resistance in the emitter is already built into the transistor and it is called as transresistance, which is calculated as. Since small resistance will create stability problem in circuit therefore we need to add our own resistance in the emitter terminal. We are going to use a 1K resistor in the emitter to provide stability in the amplifier circuit. But the increase in resistance will decrease the gain obtained and we are going to compromise it by adding a capacitor parallel to R4 forming a high pass filter. Now Components at the Collector and Emitter terminals are fixed still we need to set R1 and R2 values for biasing transistor. Thus R1 needs to be 4.6 times greater than the R2 and approximating the values give R1 = 4.7K and R2 = 1K. 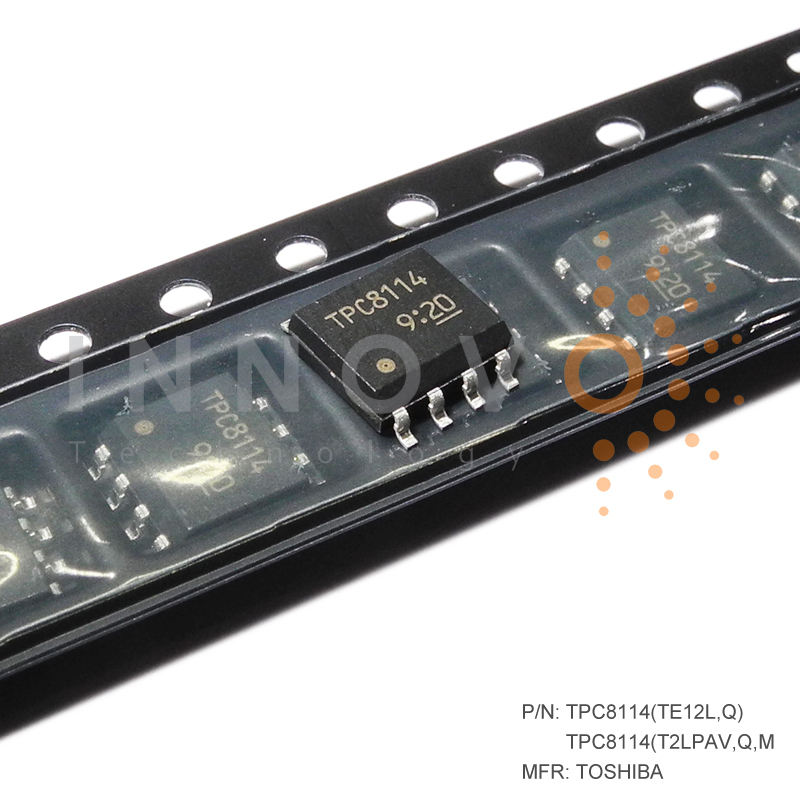 In particular, we may use a 2N4401 general purpose transistor as a switch. A transistor has three terminals. The earliest transistor technologies were based on creating a sandwich of n and npn-type semi-conductor materials. These so-called npn or pnp bipolar junction transistors (BJT)'s are still used today. The 2N4401 is a BJT. 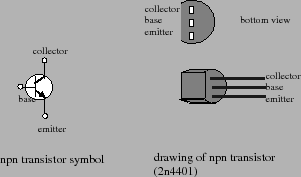 The lefthand drawing in the following picture shows the electronic symbol used for an npn BJT. From this figure you will see that the three terminals for the transistor are referred to as the collector, emitter, and base terminals. The physical device is extremely small. It is a small cylinder that has one side flattened. The flattened side is used to help determine which of the three leads is the base, emitter, and collector. 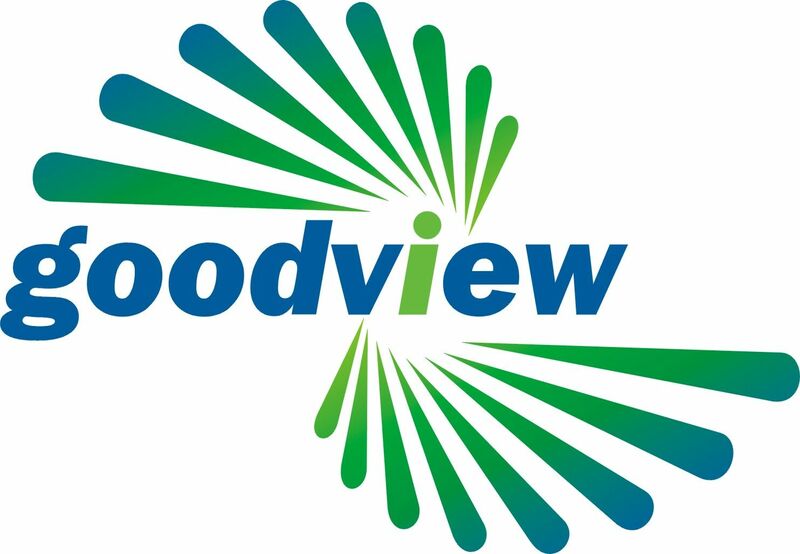 A drawing of the physical device is shown on the righthand side of the following picture. 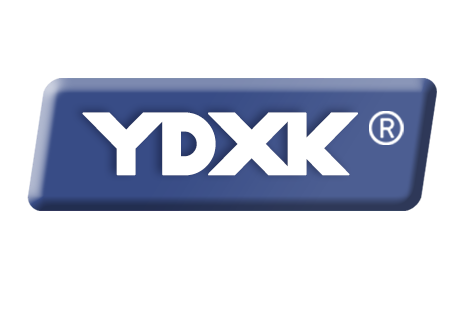 Transistors can be connected in a way that allows a relatively small base current to either switch on or off a relatively large collector current. Such a connection is shown in following figure. In this figure, a 5 k-ohm resistor is connected in series to the base terminal of the transistor. The collector terminal is connected to the positive supply voltage of +9 volts and the emitter terminal is connected to the common anode of the 7-segment LED display. When the voltage level on the base terminal is low, then, the transistor switch is closed and a current flows from the nine volt supply, through the LED to ground. When the voltage level on the base terminal is high, then the switch is open and no current flows through the LED. The size of the emitter-collector current is controlled by the 100 ohm resistors of the LED driver circuit you designed in the last lab. 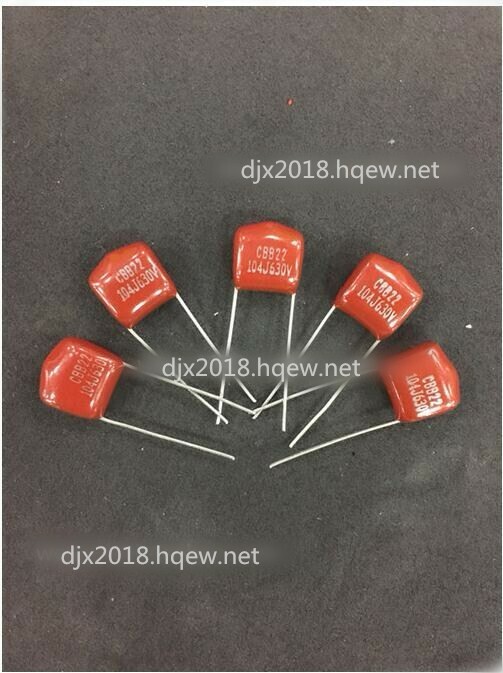 Because of the small size of these resistors, the emitter-collector current is large when the transistor switch is closed and the LED's are bright. The base-emitter current is determined by the relatively large resistor (5 k-ohm) on the base terminal. 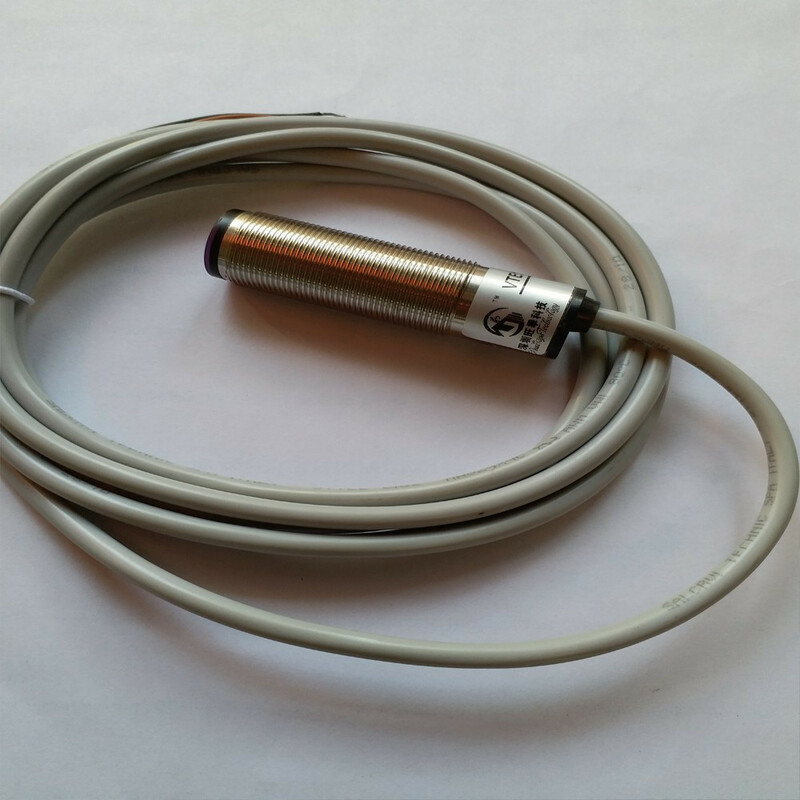 Because of the large size of this resistor, the base-emitter current can be kept to low levels that can be tolerated by the MicroStamp11. 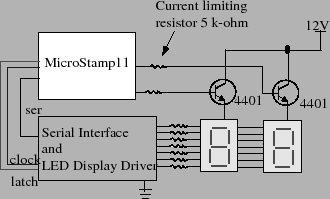 ●SN74HC595N Logic Shift Register, How Does It Work? ●TEC1-12706 Thermoelectric Peltier Cooler, How to Use It?